Uncategories What is Actually Happening In Karachi? 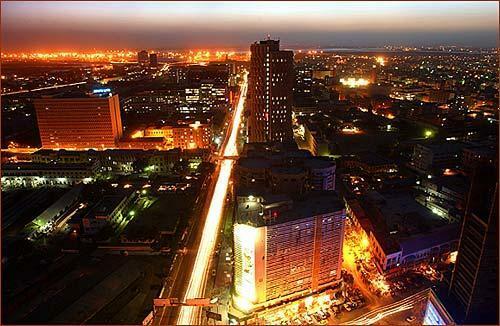 Karachi Is the largest City of Pakistan and one of the largest in whole world with a population near 2 crore. Karachi is also known as business hub of Pakistan. In Karachi people of various Ethnicities like Urdu Speaking, Pashtun, Punjabi are living. Karachi was a peaceful city until few years back but from some years Karachi is in trouble. Almost everyday target killings of dozens of people takes place in city. Businessmen are also not safe in Karachi. They pays Bhatta to safe their lives and businesses on regular basis. Lot of operations also taken place against criminals but there is no result. People of Karachi are in fear that what has happened to their city of lights? Everyday they pick dead bodies of their loved ones. The problem of Karachi is that different Political parties of the city are trying to take over the city by power. MQM which has the biggest stake in city is involved in killing Pashtuns and Punjabi people. Similarly ANP is involved in killing Urdu speaking people. Political parties also collect Bhatta with force. In Elections as well they takes vote by force. Political parties are having criminals inside them which are carrying such activities. Everyone is trying to take over the city. So what is solution for Karachi?? one solution is operation by army which will take action equally against criminals of all parties. another solution can be dialogue which not seems to be working.